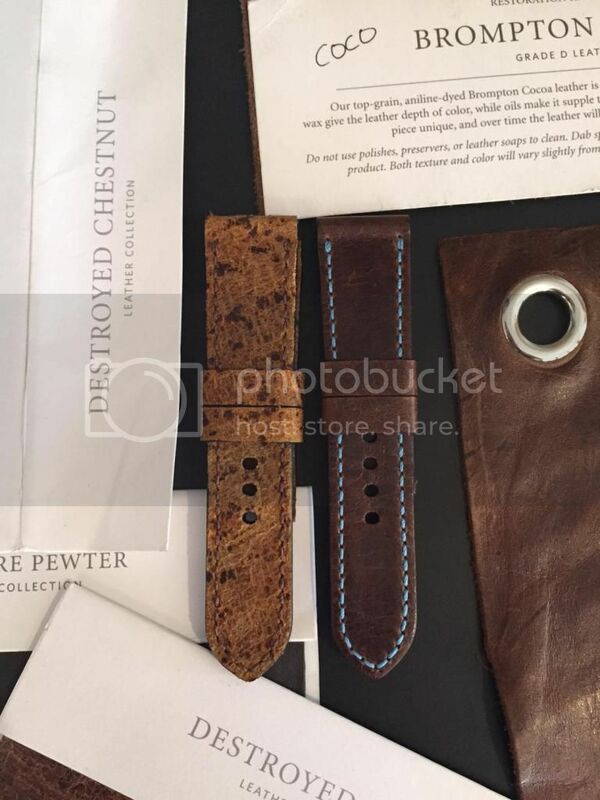 TimeZone : Officine Panerai » My love for restoration hardware and watch straps. After visiting my local Restoration Hardware store I walked out with an idea that I could not wait to try out. 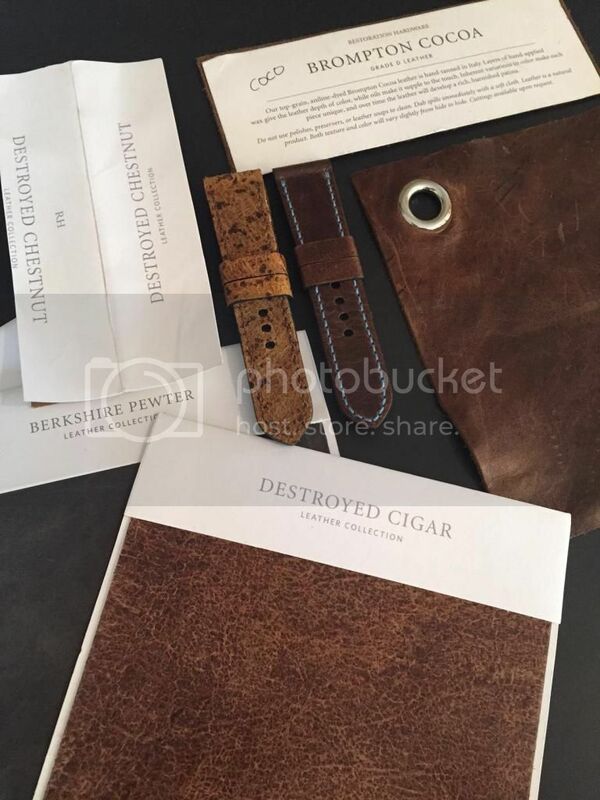 If you know or like Restoration Hardware you probably know that they will give you small leather swatches at no cost. 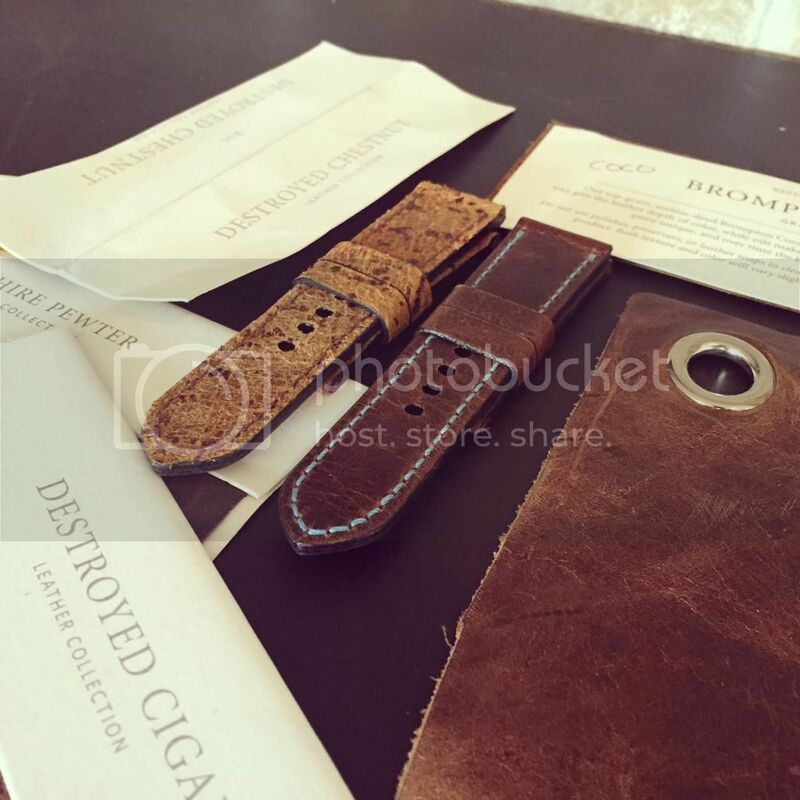 You can order the swatches for any of the leathers they have available. I am obsessed with the quality of leather that Restoration Hardware uses. 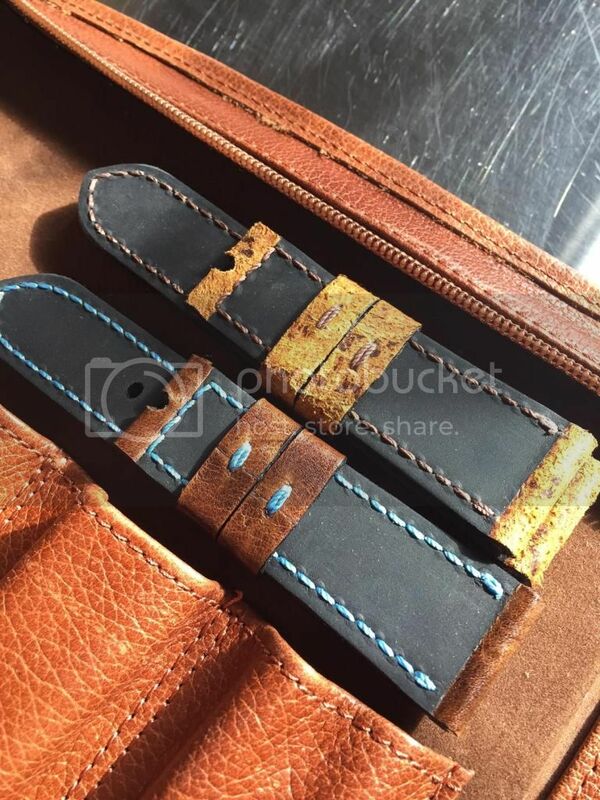 I knew right away that I wanted to have some straps made using their leather. I searched online and having used Rob Montana- The Strapsmith in the past I knew he was the best guy for the challenge. 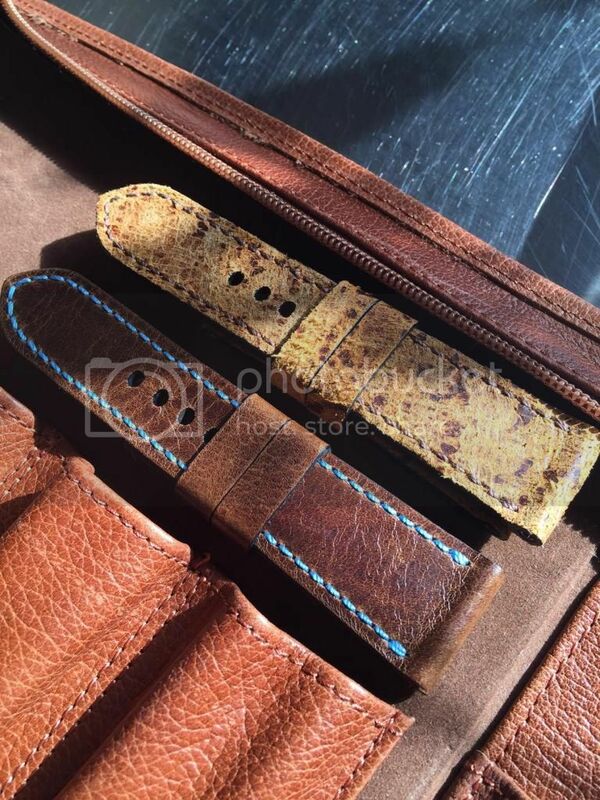 Most strap makers required 8-12 inches of minimum length for strap. Rob had no problem with the 6x6 inch swatch that they give out. I also wanted to do something different in terms of the stitching. After 3 weeks of patiently waiting for the straps to arrive I could not be happier. Rob did an absolutely awesome job. I don't think there is a better guy in the business!!! 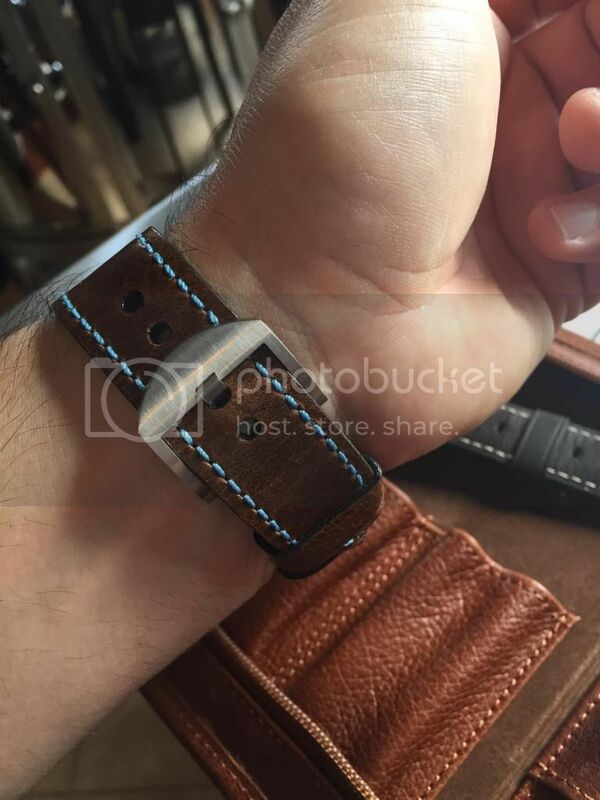 The gold speckled strap will go on my Pam 289- I will put this on and post some pictures of the 289 later today. Previous Topic: Your experience with the 510 (or 560)? 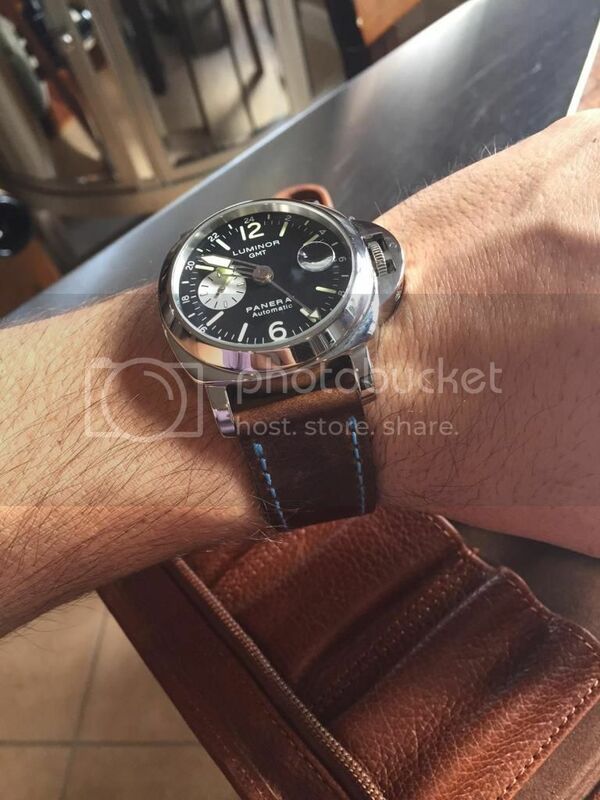 Next Topic: Purdy Panerai Watches?